Ever say any of those things – or at least think them? You are not alone. Most people dread going to job interviews. In fact, some people “hate” job interviews! First of all, this is not an exact science and there is a good deal of subjective judgment that goes on. It’s very much like dating or starting a new friendship with someone. You have to get to know the other person, and you usually do this by asking questions and telling each other “stories” about your past. That’s basically what you do in a job interview, but it doesn’t feel that way because you feel put on the spot and judged. It’s time to realize that there will be certain things that you can control and certain things that are out of your control. 1.”Can he/she do the job?” (I am assuming you are qualified or you probably wouldn’t have been invited to the interview). 2. “Do we like her – is she going to fit in?” (This area is more significant than you might think). Because the interview is a “getting to know you” process, and if you are not being true to yourself, you are not showing the interviewer the “real” you. That is unfortunate because sooner or later you will have to “come out of the closet” and be yourself. And then the trouble often begins. I have a question for you. How do you feel about the people that are interviewing you? Are they the type of people you would like to work with/for? You are checking them out (or should be) while they are interviewing you. This is something that most people forget. Below are some common questions from candidates with interview dread. If you are being asked back for a second interview they must have liked something about you and your experience or they wouldn’t even consider bringing you back. You have passed through the first tunnel – “Can she do the job?” Now, they’re going to look at you a little closer to see if they “like you.” Will you fit in? There is a difference between being “cocky” and being “confident.” Anything taken to extreme is not good. I believe the best mind-set to go to an interview with is that of a “consultant.” This company has a problem and you are there to find out what it is. You will then let them know you heard and understand the problem and have the solution to their problem – if you do have one. As a consultant you can fix their problem – do the work they need to have done. Bad idea – you are too honest and showing all your cards – too soon. Think of something that you would like to do better: be a better speaker, be more patient with people who don’t pull their weight, be more selective when you take on more assignments, etc. There is a technique called “the sandwich technique” where you start with a positive statement; slip in the negative (weakness), and then tell how you are working on improving that trait. I wouldn’t let the feedback from one woman throw you off track. It may be that you are interviewing at the wrong places. Maybe you need to seek out a company who is looking for a more aggressive attitude. 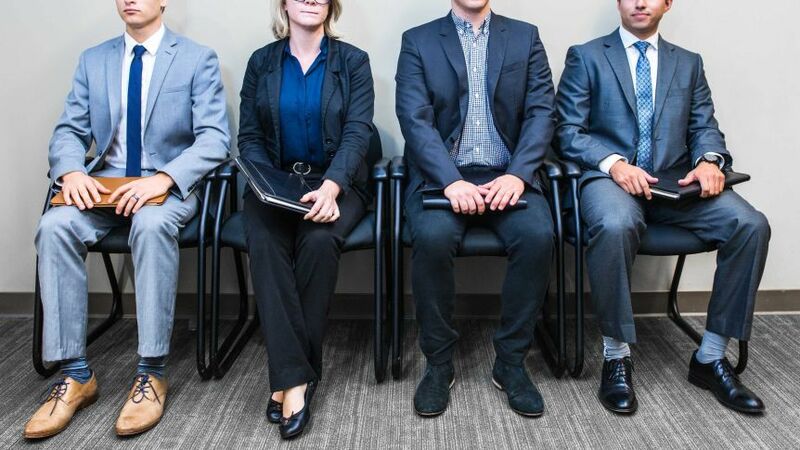 I am a believer in the fact that if you are the “right person” for the job the interviewers will overlook a lot of other differences or shortcomings. These examples cover some of the more common problems faced by candidates. You can see that others are facing similar fears and worries in job interviews every day. The main thing is for you to control what you can control – prepare for the interview, and to let go of the things that you do have any control over. If someone is “scared” of you, it’s not going to be a very rewarding relationship for anybody. One last thought – think of this as a dating process. You did not (hopefully) get a marriage proposal after every date. You will not get an offer after every interview. Sometimes you just have to let go. It is out of your control.